In case you're more familiar with traditional photography, it's important to understand that digital photography differs from film in many ways, and demands a different set of memory-keeping techniques. With film, you take pictures, get film processed, order prints, store them in albums and usually keep the negatives as a backup. With digital photography and storage, your photos record as electronic data that's saved onto limited-space digital storage or a memory card in your camera. You can instantly preview your photos on the viewing screen, delete, “re-shoot,” download them onto your computer, share and save electronically as well as print. But what about digital image backup? Computers, disk drives and digital media are very convenient ways to store and manage your digital photo collections. However, you should be aware of some issues when using them to store your precious memories for the long term. You may have noticed that some of the storage devices that were popular a few years ago are no longer used or even available. While floppy disks were the main storage medium in the early nineties, today you can't fit a single photo from a high-quality digital camera onto a floppy. In addition, new media will eventually replace the media we're using today. For example, CDs and DVDs will be replaced by media with higher capacities such as Blu-ray and HD DVDs. Over time, other media will replace these. Do keep in mind that some computers and readers are built to read older storage media, but in general, you'll need to transfer your photo files from one medium to another as the technology evolves. Make sure that all of your photos are stored on media that you can read on the computers you are using at any particular point in time. If you get a new computer, check all of your previous storage media to make sure the new computer can read them before you dispose of your old computer. If a medium is becoming harder to find in the stores, make sure you transfer your photos to a newer medium. Most likely, you'll be able to use a program like Windows Explorer or a backup program to make the transfer. If you use a backup program, make sure that it stores your files in a format that can be read by other programs such as Windows Explorer. Some backup programs store files in a format that can be read only by that program. Make sure you create your photo backups on media with up-to-date technology. Keep in mind that computer hard drives have a limited lifespan, and at some point in time, they will most likely fail. While they generally last for several years or more, they can also fail without warning. And when they do, it's sometimes, but not always, possible to “rescue” some of the files from the drive. Unfortunately, this can be quite expensive, and there's no guarantee that all photos - or the organizational structure of your collection - can be recovered. An external hard drive that is disconnected from your computer is a good option to preserving digital photos; however it's possible for this drive to fail as well, especially if you haven't used it for a long time. In any case, it's likely to last longer than the one you keep running at all times. Save pictures on more than one drive: It's unlikely that more than one drive will fail at the same time unless they are both connected to the same computer, which is then affected by either a virus or power surge. Store an extra copy of your photo collection on CD or DVD. Do not plug or unplug external drives from your computer while they're transferring photos or other data. If you keep photos on an external hard drive that's not connected to a computer, make sure you connect it to a computer and power it up every couple of months to make sure it's working properly. CDs and DVDs deteriorate over time, and their longevity depends on the quality of manufacture. It’s better to purchase high-quality discs designed for archival applications or photo preservation. These discs are significantly more expensive than standard discs but are predicted to last a century or more. Low-quality discs may only last a few years, depending on storage conditions. At the same time, CDs or DVDs written on one computer may not be readable on the CD/DVD drive in another computer. This may be due to the poor quality of the initial recording or an incompatible recording format. Store your CDs and DVDs in high-quality sleeves or boxes, and in a cool, dark place. Store them vertically rather than horizontally stacked on one another. Make sure that you use a DVD format that you can read on all your computers (i.e. DVD+, DVD-, Blu-Ray and HD). Most computers can read the original DVD formats. The new high definition Blu-Ray and HD DVD formats require compatible read/write devices as they are not compatible with earlier DVDs. Use write-once (+/-R) CDs or DVDs as opposed to read-write (+/-RW) as they are more reliable and more robust for reading on different computers. If you buy a new computer, make sure that it can read your old discs. If you want to label a DVD or CD, use only special disc marker pens, disc label paper or products that label discs directly (i.e., Epson printers, HP LightScribe). Access more detailed information on the proper care and handling of CDs and DVDs at http://www.itl.nist.gov/div895/carefordisc/. Have you noticed an improvement in the quality of pictures people are taking with camera phones? Combined with the fact that you almost always have your mobile phone with you, it's likely that some of your valued photo memories are on your phone! Unfortunately, many people leave photos on their phones and never transfer them to store, print and share with others. As a safety measure, make sure that you frequently copy your valued camera phone photos to your computer photo storage or wireless service, and then make sure these photos are included in your digital image backup. Use a data cable or wireless connection to connect the phone with your computer and transfer your photos or “synchronize” your phone and computer photo storage system. Some phones have a memory card that you can remove and insert directly into your computer, a card reader that connects to your computer, a photo printer or kiosk. Sometimes these cards are hidden behind the battery so you may need to consult the user manual to find it. 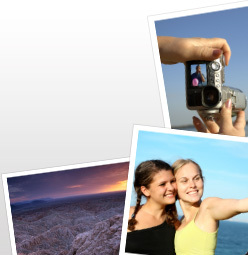 If it has the capability, send photos from your phone to your own e-mail address. Note that depending on your service plan you may be charged extra fees. Upload to your provider's online photo backup service, if available. Make sure that the storage service supports full-resolution pictures taken by your camera phone, and not thumbnail or scaled-down version of your pictures. Make prints. Some mobile service providers let you order prints, or you can use your phone's memory card to have them made at compatible retail kiosks. Always transfer photos from your phone to your computer or to the storage service provided by your wireless carrier when you've taken any important photos that you don't want to lose. Flash memory, also referred to as USB drives, thumb drives, jump drives and camera cards are convenient for short-term portable storage and transferring your photos between devices However, these devices are not designed for long-term storage. Also, due to the large number of types of flash memory formats, technology obsolescence is a concern five to ten years from now. Floppy disks and tapes will deteriorate over time with their actual longevity depending on the quality of manufacture and conditions of storage and handling. The contents can be damaged by magnetic fields, and unfortunately, there's currently no easy way for you to determine the expected lifespan of the storage media. Tapes come in many different formats, and tapes written on one computer may not necessarily be readable on another computer. Floppy disks or tapes written on older or faulty computers may not be readable on another computer. Also, floppy disks will not hold enough of your photos to make it worth using for backup. Learn more. Newer computers will not have the ability to read these media. When you copy your photos from one place to another such as from a hard drive to a CD, it's always possible that something could go wrong. For example, a photo may not be readable in the new location because the file is corrupted in some way. It's also possible that not all files transfer because there's not enough space in the new location. Double check that the correct number of photos transferred. Check the combined file sizes of all the photos in the folder where the photos came from as well as in the folder where you copied them. Make sure that the same amount of data is stored in both places. With Windows, right click on the folder name, then click on “properties” to get the combined size of all files plus the number of photos. Use photo software to check the photos in the new location. If you’re copying large folders containing many photos onto CDs or DVDs, you might want to break them up into subfolders that match the capacity of your disc so that you can keep track more easily. Be aware, that a DVD labeled with 4.7 GB capacity, for example, may in reality only hold around 4.2 GB of photos, so you may want to limit your folder sizes to this amount. Other disc types have similar capacity limitations where the actual available capacity is less than that indicated on the packaging. This is because extra administrative data takes up space on these discs. Because of the complexity of modern software, including operating systems and applications, and because of malicious viruses, it's also possible that photo files can get lost or damaged because of software problems. Computer viruses can damage, alter or erase photo files, and as a result, the photos may no longer be visible. Always use the most up-to-date anti-virus software. Keep backup copies your most valuable photos on media or devices that are not connected to a computer such as CDs, DVDs or external hard drives or make prints. Even photos stored on a computer that's not connected to the Internet can be vulnerable to a virus, and should be protected with anti-virus software. Viruses may be transferred via media that you attach to the computer such as USB drives, external hard drives or insert such as CDs or DVDs created on another computer. Use write-once CD-R and DVD-Rs to backup your data: Even if a virus affects your computer, the photo files on the disc cannot be damaged. Ask for assistance at the store to find these types of discs. It happens: People lose photos. At some time, you may have mistakenly erased an entire folder on your computer that's full of photos, or dragged and dropped a folder into another folder where it's gone “missing.” In effect, those photos could get lost, especially if the folder isn't backed up again. Always be very careful when moving folders around with Windows Explorer or other applications that allow you to drag and drop, or cut and paste complete folders. If you're concerned that you or someone might have made this kind of mistake on your computer, take a look at your photo collection to see if anything appears to be missing. Some software packages allow you to print out a list of the folder names together with the file names, and you can use these lists to make sure your collection is complete. If you know that some photos are missing, search your entire computer for those photos. You might find them in an unexpected location. [Note: the computer's search function does not search the recycle bin or trash can, so you'll need to open it and see if the missing photos are there. Warning: If you use Windows Explorer to erase photos from your camera, they will not be saved to the recycle folder on your computer, they'll permanently be deleted. Always double check to make sure you've copied all the pictures onto your digital photo backup before erasing them from the camera. If you then decide to buy different digital photo software, this information may no longer be available to you. Before buying a new computer, make sure your favorite software will work on it, or that a new version of that software is available. Go to the website of the company making your software periodically to make sure it's still providing support. Sometimes it happens that the software stops working on your computer and you'll need to reload it or get help from the manufacturer. This is also the case if you have a hard drive failure nd need to reload the software onto a new disk drive. Just as there are changes in computer hardware and computer software, it's possible that the file types we use for storing photos may also change in the future. While "JPEG" is currently the most popular format for consumer photos, discussions arise in the digital photo industry about possible new formats that will bring about quality improvements and other advantages. On the other hand, this means that you may end up with multiple file formats in your photo collection and may need to convert your photo collection to the new format. Please ask knowledgeable friends for advice or check with your camera or software manufacturer to find out what file formant they support. Not to worry: JPEG will continue to be supported for many years to come, but best to remain watchful! In addition to hardware and software issues, there are a number of other factors that can impact the longevity of your stored digital photo collection. Here you can learn more about maximizing the life of your photos — whether printed or stored digitally. Will price make a difference? Computer and digital photo technologies have continued to evolve rapidly, and as a result, we have seen constant improvements in camera, scanner, computer and software capabilities. The downside of this tremendous development is, of course, technical obsolescence: Computers, photo storage devices, media, cameras, camera phones and software purchased as recently as three years ago may no longer work as well with newer products. This means that you'll need to watch what's happening with computers, or get some sound advice on how to maintain your photo collection over time so that you may continue to enjoy it, always.